Hey friends! 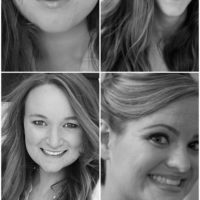 This is Bree from bumblebreeblog and I am so excited to be hanging out with you today. The last month has been lots of fun at bumblebreeblog. 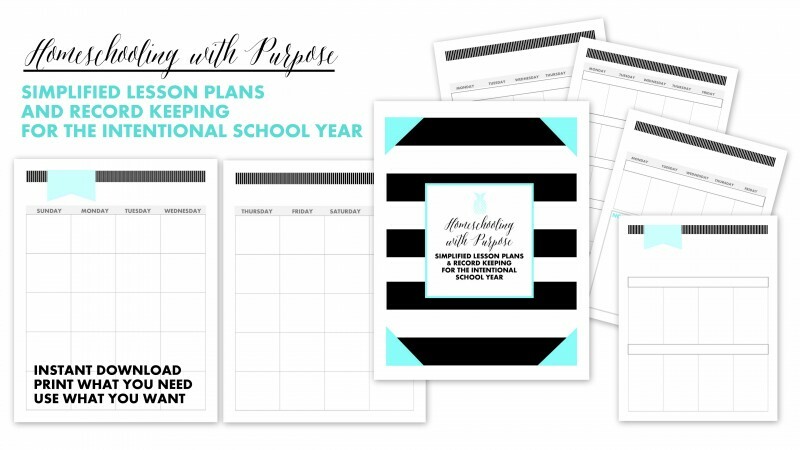 I have shared some of the exciting home decor projects I am working on, had some great giveaways, and even participated in a magical Harry Potter blog hop. 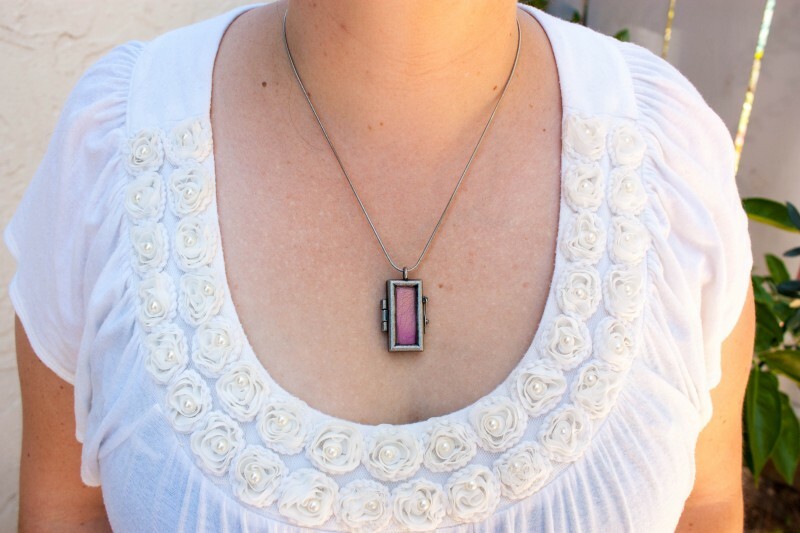 Today, I am sharing with you a fun way to use rose petals to create a cute pendant necklace. Its a great way to create a keepsake from a rose from a special event such as a wedding or school dance. 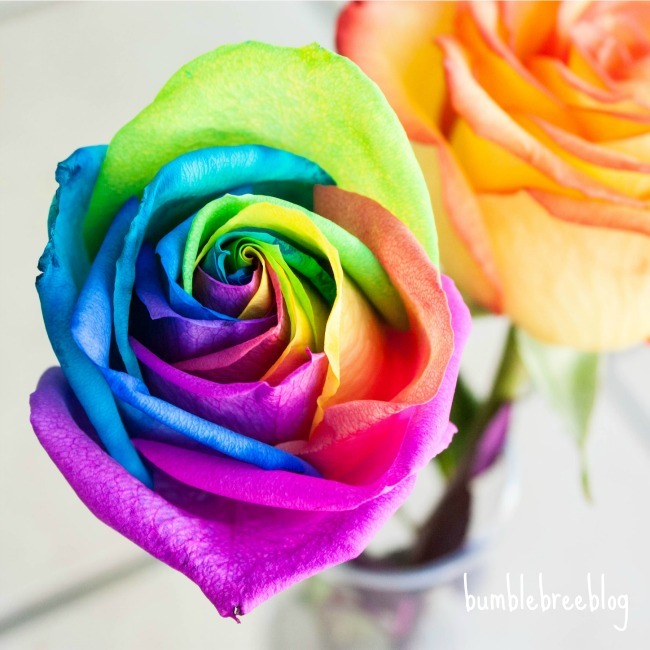 Almost a year ago, the bumblebreeblog husband and I went to Hillcrest, a neighborhood in San Diego, and while there I bough a wonderful rainbow rose. Using dyes, florists can create wonderful roses with bright and amazing color combination. When my rose started to wilt I knew I had to preserve the wonderful rainbow petals. I took some paper towels and a bunch of heavy books. After taking all the petals apart, I laid them between two paper towels set them inside a heavy book. I then placed a couple other books on top and left everything like that for a couple days. I love making pressed rose petals and did this a lot in highschool. Its a great way to save petals from roses from important events. Once my petals were dried a placed them into a wood box to be used for a later project and I am so glad I did! I have definitely been in the mood for a new pendent necklace lately. I don’t wear a lot of fashion jewelry, but simple and meaningful pendents are a staple in my everyday outfits. So at the beginning of the month I bought a couple of lockets and other jewelry pieces to create new pendents. 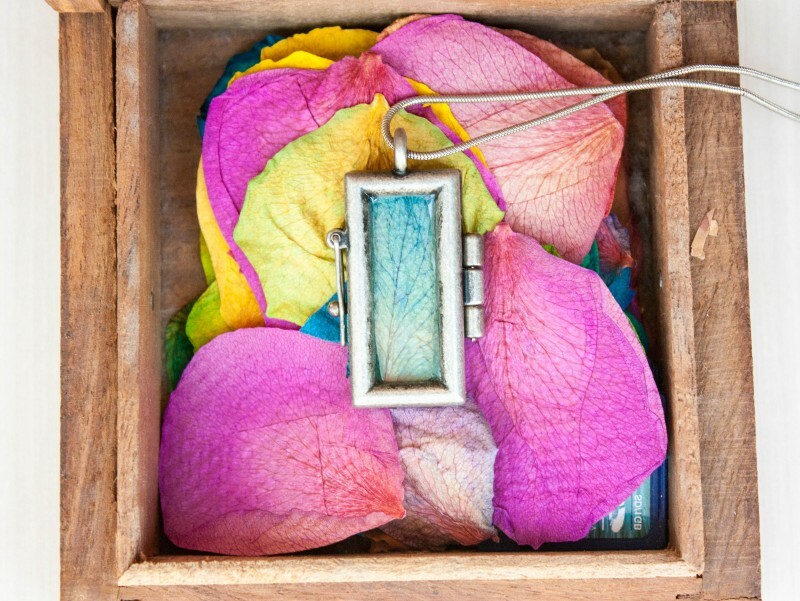 When I remembered my pressed flower petals I knew I needed to create a pendent with them. 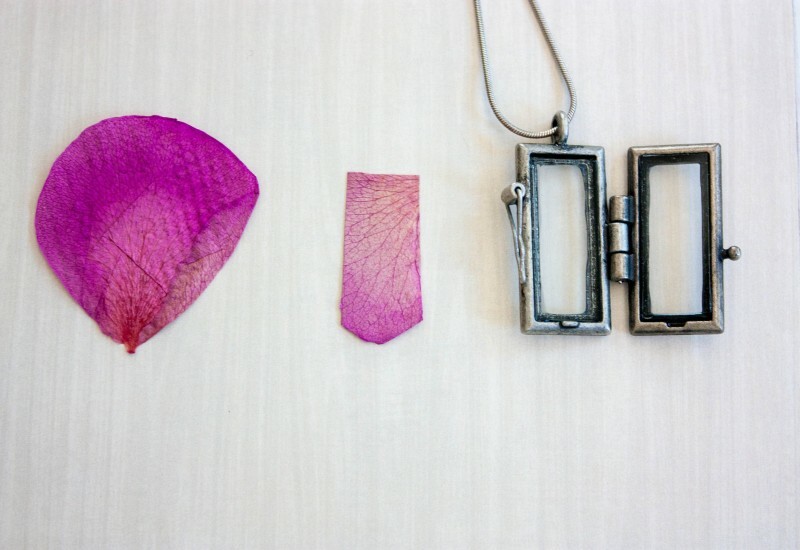 Its very easy to create your own pressed flower pendant. After choosing the pressed rose petal that you want to use for your pendent, test it out in your pendant and choose the area that looks the best. I enjoy the center of the petal because of all the veins and color combinations. Using scissors I cut my petal to the correct size to fit into my pendant. Its that easy and looks amazing! 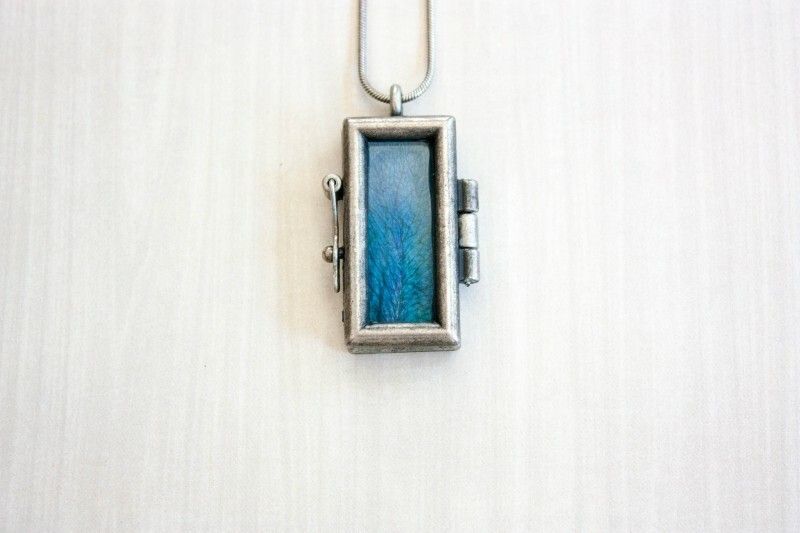 One of the best parts about creating your own pressed flower pendant is that you can change it out whenever you want. I even added multiple layers of petals so I could easily switch between the blue petal and the pink petal. 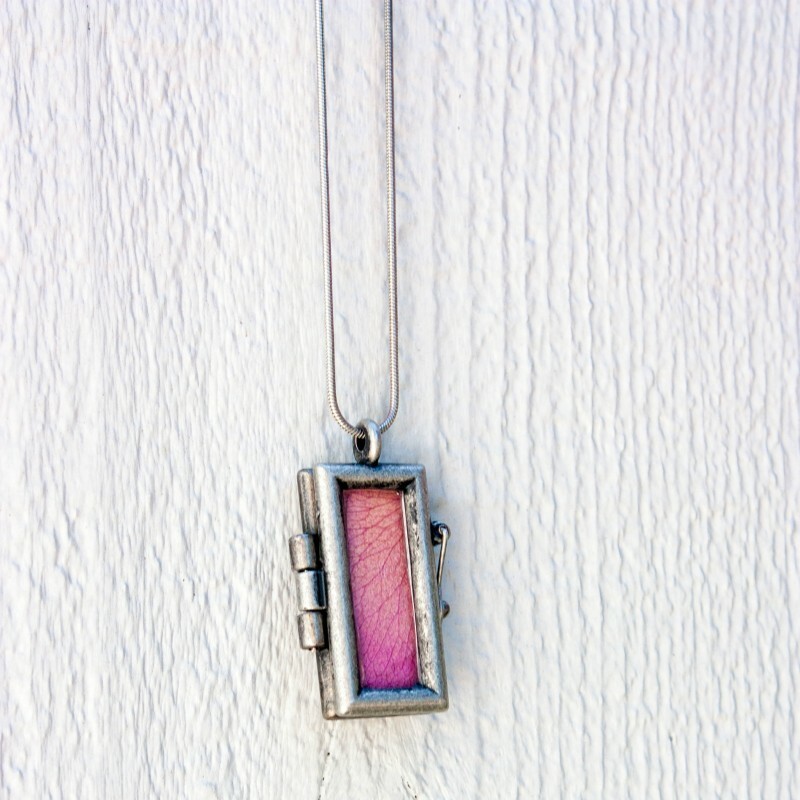 I hope you enjoyed a look at the pressed flower necklace. What type of petal would you use to create your own pendant necklace? Let me know in the comment section. You should also head over to bumblebreeblog and check out the other pendant necklace that I created: Secret Harry Potter Locket. Not only have I been creating fun necklaces, but I have also been updating our home and created a fun Stenciled Accent Wall that I know you will just love. Make sure you check it out. Thanks! See you next month! Don’t Dread Flying with Your Kids – Be Prepared! Is there any website where I can find this? Or maybe a store? Thank you regardless :)!